Today is the first day in a new series of challenges from The Lacquer Legion. Sarah of Chalkboard Nails came up with the idea for a challenge to bring the nail art community together with one manicure per month. I was really excited to join because I love challenges, but I'm afraid to commit to some of the more demanding ones with my current work schedule. Each month Sarah, along with The Nailasaurus, Work/Play/Polish, and Rebecca Likes Nails will pick a theme and then anyone is free to post manicures showing their interpretation. January's theme is reinvention. 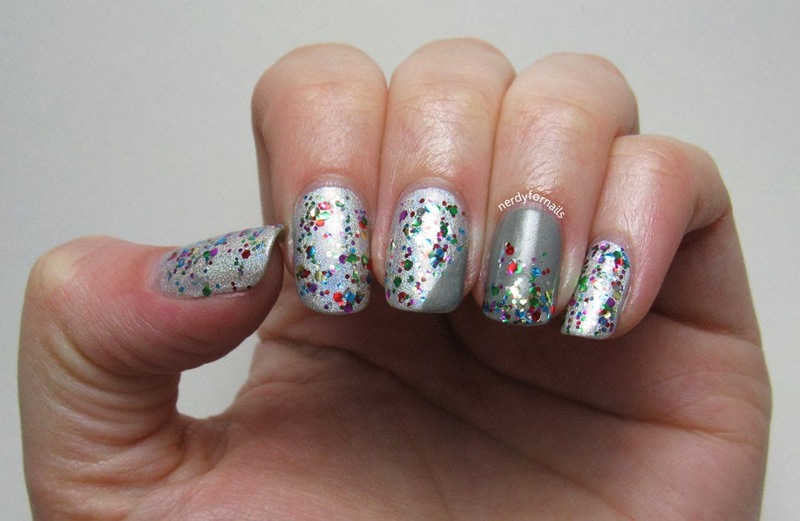 One of my favorite bloggers recently asked: If you were a nail polish what would you look like? 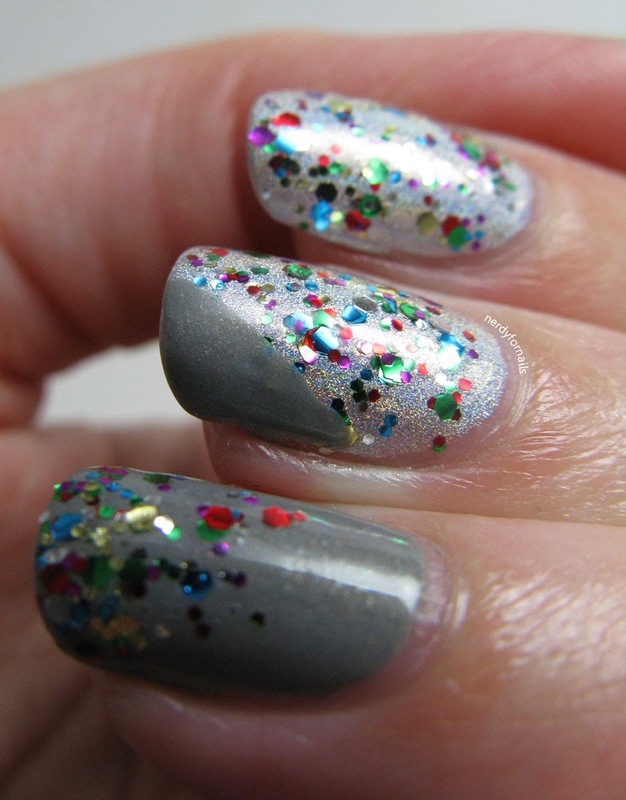 I thought this went perfectly with the theme- I reinvented myself as a polish. 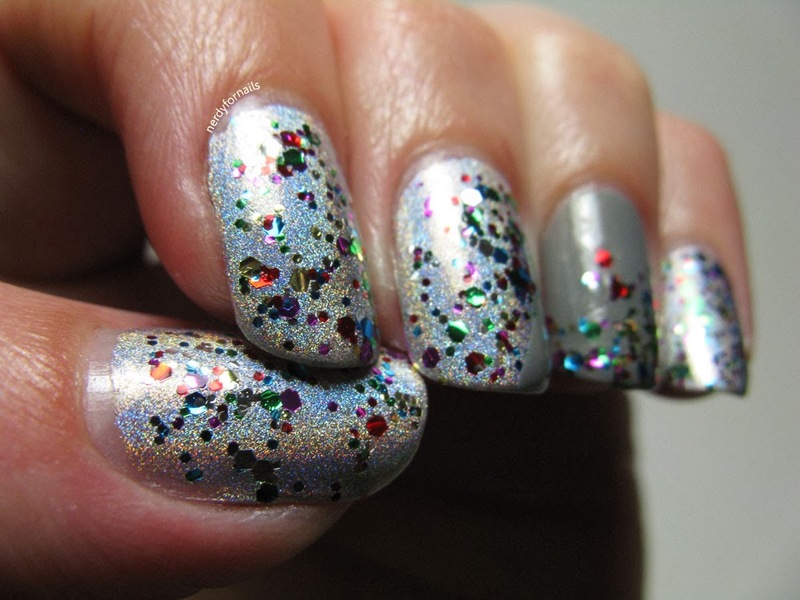 I'd be a crazy holo with rainbow glitter because I think picking everything at once is a totally valid life choice. I like to create a space for myself with my nail polish hobby/obsession that's bright and vibrant and cheerful just like this mani. I also have a practical side though so I had to throw in a grey accent nail. I used two coats of Color Club, Harp On It as my base. 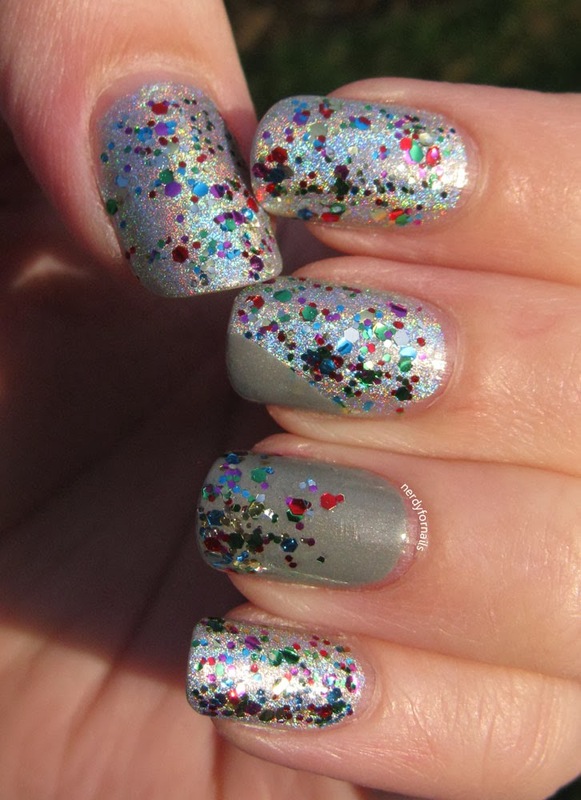 It's a silver linear holo with a great formula. It looked perfect after one coat, but I added a second just in case. The rainbow glitter is Sinful Colors, Pride and the grey accent is Essence, As Long As You Love Me. I think this manicure captures me quite well. So.. If you were a nail polish what would you look like? One last picture in the sunlight. I love how the holo comes to life in the sun. To see what everyone else came up with check out the Lacquer Legion Facebook Page or search #LLReinvention.